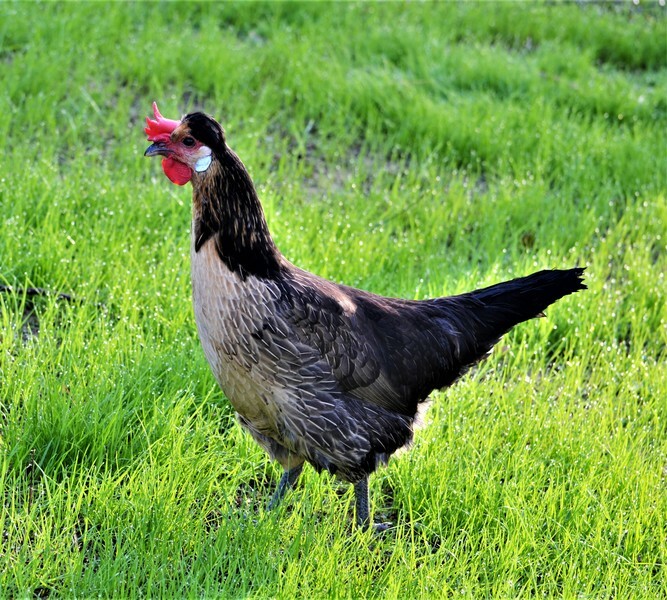 An active dual-purpose breed from Belgium, this crested beauty in the quail color pattern reflects the colors of the Belgian flag: black, yellow, red. 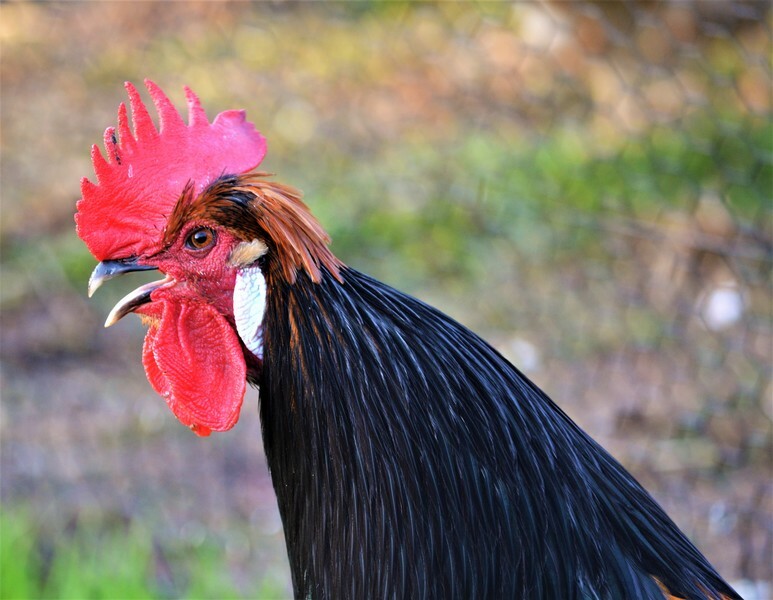 At the very center of Belgium lies the province of Brabant, and it was here that in the 1800s a chicken breed was developed that patriotically reflects the colors of the Belgian national flag; a standard equally divided into vertical black, yellow, and red stripes. 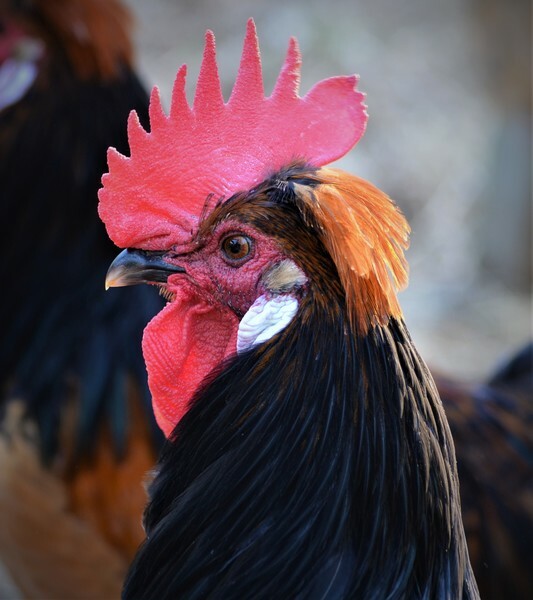 This chicken, the Quail Brabanconne, is a beautiful dual-purpose bird with a striking feather head crest and a complex and compelling color pattern. 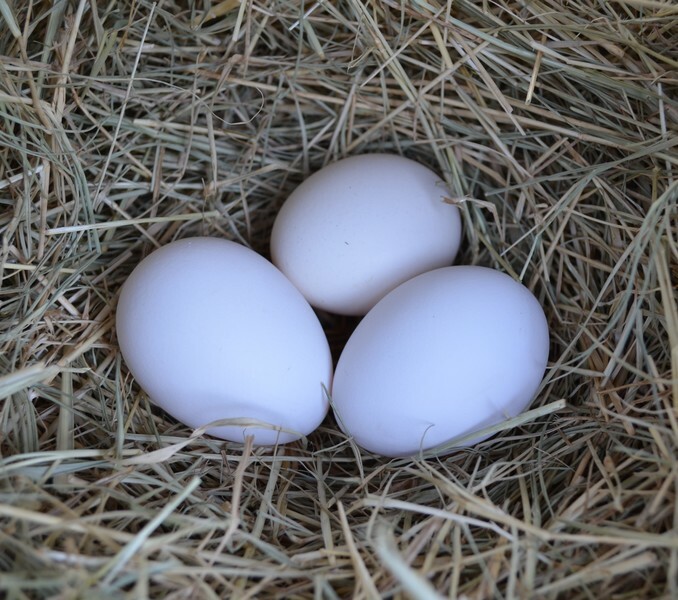 Brabanconnes are medium-sized chickens that lay an abundance of white, medium-sized eggs, and these active foragers are well suited for free-range life. 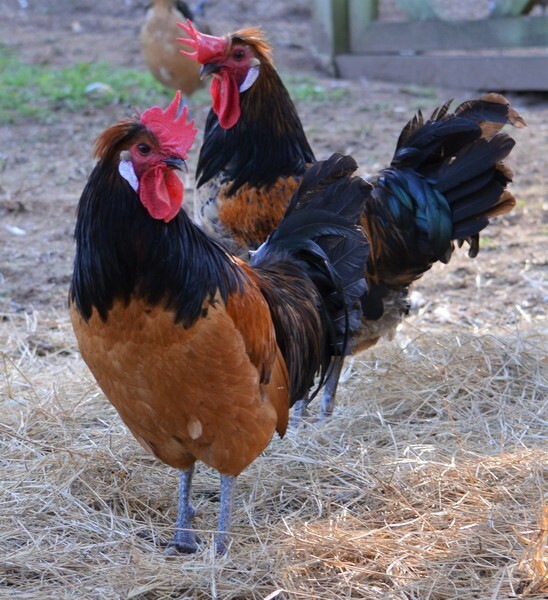 The hens have a color pattern that is more complex and delicate than the roosters’ pattern; the males sport a bolder two-tone arrangement of orange and black looking similar to a Vorwerk. 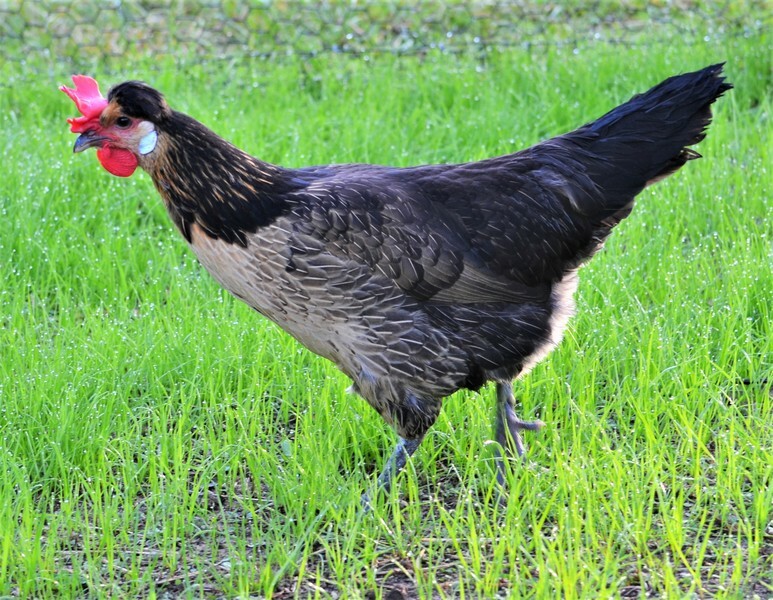 However, the orange feather crest on the male Brabanconnes is a distinguishing feature unique to this breed. 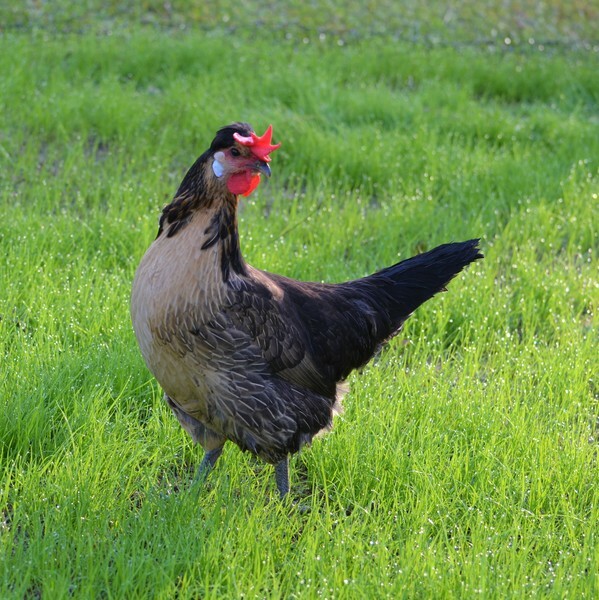 Greenfire Farms is the original and only importer of Brabanconnes into the United States, and these birds are being released to the public in the spring of 2019. 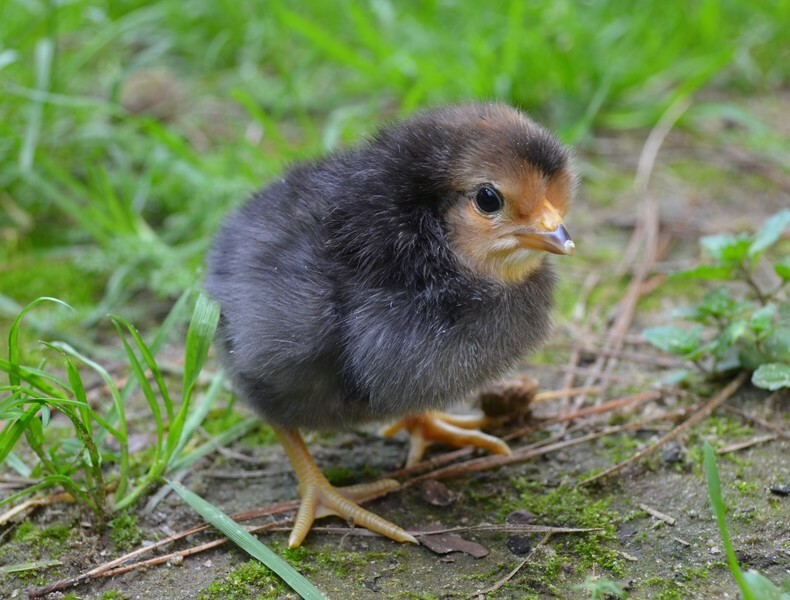 Rare in their native Belgium, and until now unheard of in North America, you have the opportunity to own a vanishing chicken breed that few have heard of and virtually nobody has seen. Given the extraordinary good looks of the Brabanconne, you will not regret the experience.